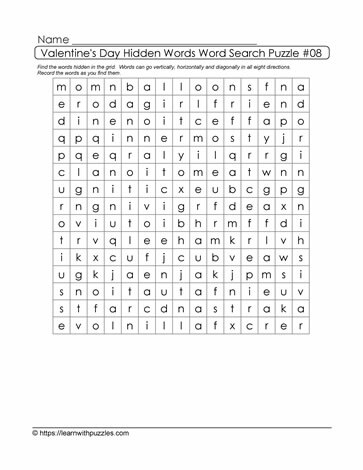 Here is a hidden words word search puzzle with a Valentine's Day theme. Puzzles support brain health as they activate problem-solving skills and facilitate connections between known common letter patterns and word patterns. Students solve this brain teaser puzzle by locating the theme-based words in the grid. Once found, record the list of words in the space provided.